. 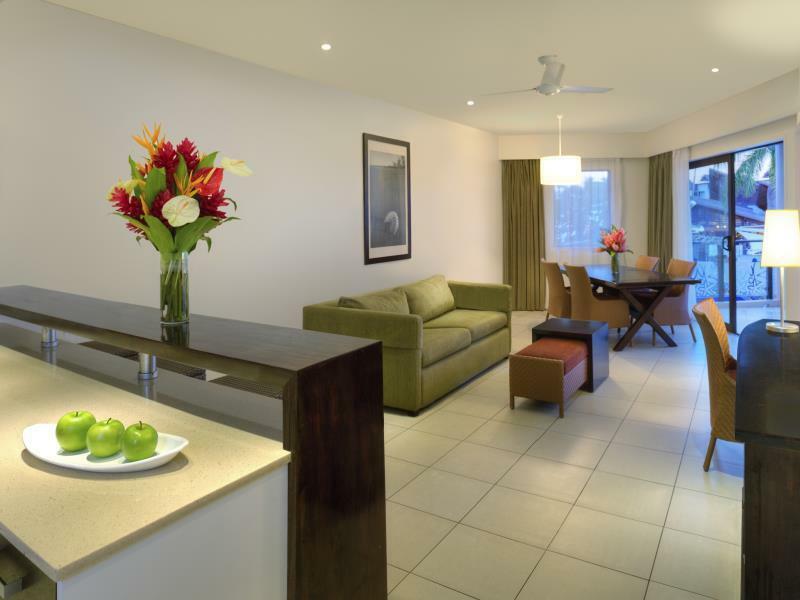 يعرف Carlson Rezidor Hotel Group بالمستوى الراقي لخدماته ولباقة موظفيه، وهذا ما ستجده في Radisson Blu Resort Fiji. تتضمن الميزات الرئيسية في هذا الفندق: خدمة الغرف على مدار الساعة, واي فاي مجاني في جميع الغرف, أمن على مدار 24 ساعة, متجر, خدمة التنظيف يوميًا. في الفندق غرف نوم يتجاوز عددها 268، كلها مجهزة بعناية وجمال وبعضها مزود بـ تلفزيون بشاشة مسطحة, قهوة فورية مجانية, شاي مجاني, مشروب ترحيبي, بياضات. يقدم الفندق مجموعة واسعة من وسائل الراحة المتنوعة، كمثل: مركز للياقة البدنية, مسار جولف - ضمن 3 كم, حمام سباحة خارجي, سبا, تدليك. مهما كانت دواعي سفرك فإن Radisson Blu Resort Fiji هو خيار ممتاز لإقامتك في نادي. We loved staying at the Radisson Blu. The facilities are outstanding, the staff are so friendly and incredibly helpful. The pools are gorgeous and there are great options for the whole family from the kids pool with waterslide to adults only pool. What’s not to love about that??!! The breakfast buffet is the best I’ve ever seen with such a huge choice of options. The Harmony Spa is very nice and the staff there are lovely. A wonderful place to stay all in all and I’ll definitely be back. A nice place to stay,l for Christmas, really nice staff quickly learning my name and greeting me personally and also good facilities. Swim up bar and adult only areas were a nice touch. Eye wateringly expensive for food and drink - but then that’s fiji for tourists hey! $170 fjd per head for a Christmas buffet dinner !!!!!! Go to Neptune’s - their pizza / chip shack instead ! Loses a point or two as there are NO out door showers or signs asking people to shower before using the pool- I tried not to think about that too much . Loved our stay at Radisson Blu. Food throughout the resort was great. Pools were fantastic. Activities didn’t run to schedule but not a big deal. The 1 bedroom apartment was ideal for us with two young kids. Stayed for 1 night only w/ my 2 kids to pick up my wife landing at Nadi Airport morning time. We arrived quite late from Suva and did not really explore the hotel. Located in Port Denarau where we are already quite familiar with. Room was clean, check in process was smooth, nothing to complain. Will definitely come back in the future to explore more. This resort was very nice and has the best pool in Denarau but would recommend only 2 nights then head to the Yasawas, Mamanucas or coral coast for a real beach and more of an authentic Fiji experience. Loved the hotel, if you just want to sit round by the pool and relax. This is the place to be. We just felt we didn't get to see the true Fiji and we felt a bit isolated. We did go into town but would have loved to venture out a bit more. Located in the Danadu island, it has a very good sight-viewing of the sea, beach, and sunset. Very suitable for a laid-down holiday. Reception is very hospitality. There are many day-tour you can book in the reception. Almost all of them will pick you up at the hotel. Meanwhile, there are many other hotels like Sherton, Hilton, Westin, etc. Its belongs to the whole Danadu Resort. Surely, If we come back to Fiji again, it will be our choice again. The staff were excellent especially with the kids. A special shout out to Elmo who always stopped to check if we were ok or needed anything. He remembered all our names and was truly outstanding. The kids loved Knox Banana and Wise Banana at the kids club. 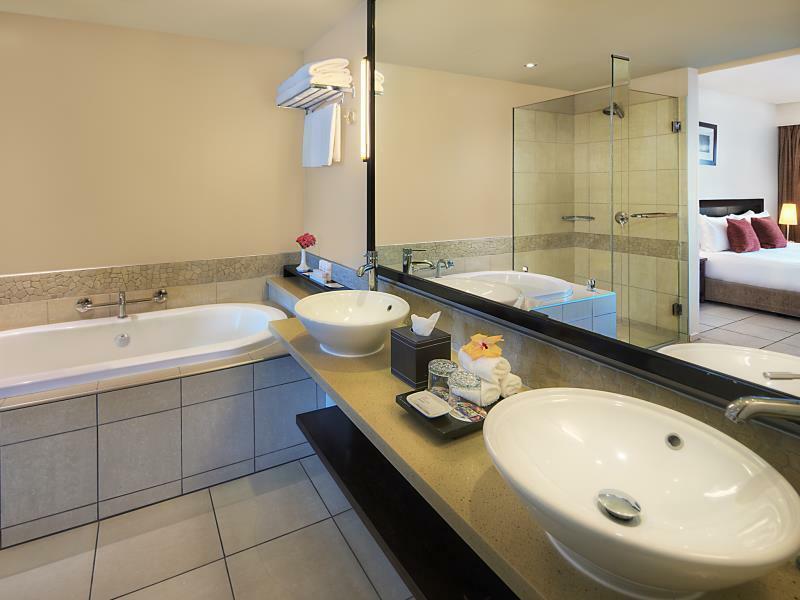 Room was recently renovated, large with comfortable beds. We have stayed at several resorts in Fiji and the Radison would have to be one if the best if you are traveling with kids. Would definitely recommend the Radisson! Very Nice family resort -a beautiful loaction with own Beach, several pools and its own waterfall. Very good service - I Got an upgrade without any problem when i had a problem with the room I was given. Large property with many things to do. Even if you don’t plan any Tours or intend to go outside of the resort there is plenty to see, eat, and do at the Radisson alone. All Staff were extremely friendly and helpful. Hotel caters to families but sections cut off for adults only. Didn’t mind the children around as we were travelling as a couple..
Hotel is Overpriced! This hotel charged me more than what I booked it for on Agoda but Agoda at the time of booking only took payment for the first night, at checkout R Blu charged me more than orig price of booking . However, I would recommend this hotel bcuz of its location and how close it is to the Port (lots of good shopping and restaurants). Bula bus circles the Denarau area for $8 a day. I liked the fact that the pool was divided into Adults only, Family and kids pool. Lots of seating areas on Sunset Deck to watch the beautiful Fijian sunsets. Also loved the Band singing every evening, such a nice touch! Rooms were spacious and comfortable beds. Payed extra for Lagoon View Room and it's only part of a view. U have to go out to the patio to see. Restaurants were overpriced. We preferred going to the Port for our meals. Again, my favorite part were the employees. Inoke, Bell boys and Valet boys were extremely helpful. Wish I could remember all their names. Welcoming staffs, cookies upon checking in. Spacious garden bure looking out to the sea. The whole resort is smaller, quieter compared to the chain hotels in Denerau which We enjoyed so much. 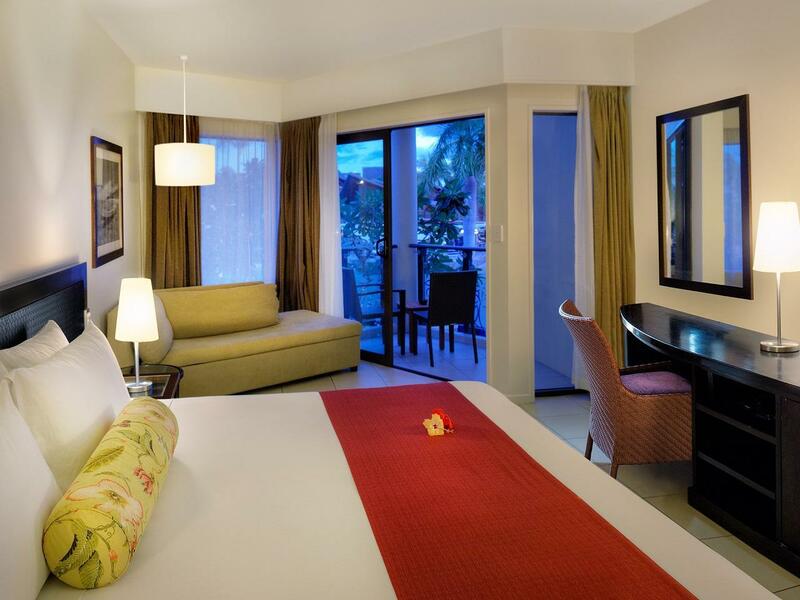 After the 2 nights, we stayed 4 nights at Hilton Denarau however we prefer Double Tree more because of its staffs and intimate environment, we will recommend to anyone who would like a more relaxing holiday timeout. 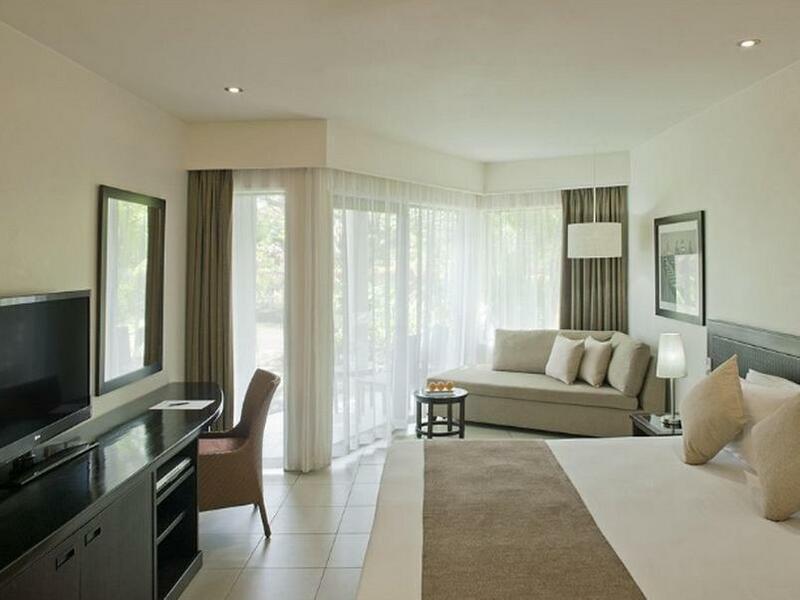 After 6 days at Sofitel (as Accor Platinum Members we are normally very pro Accor & especially Sofitel) in which there were numerous let's just say "hiccups" we finished our Fiji Holiday with 3 nights in a Radisson 1 Bedroom Suite and OMG!!! Spacious, clean, comfortable rooms! 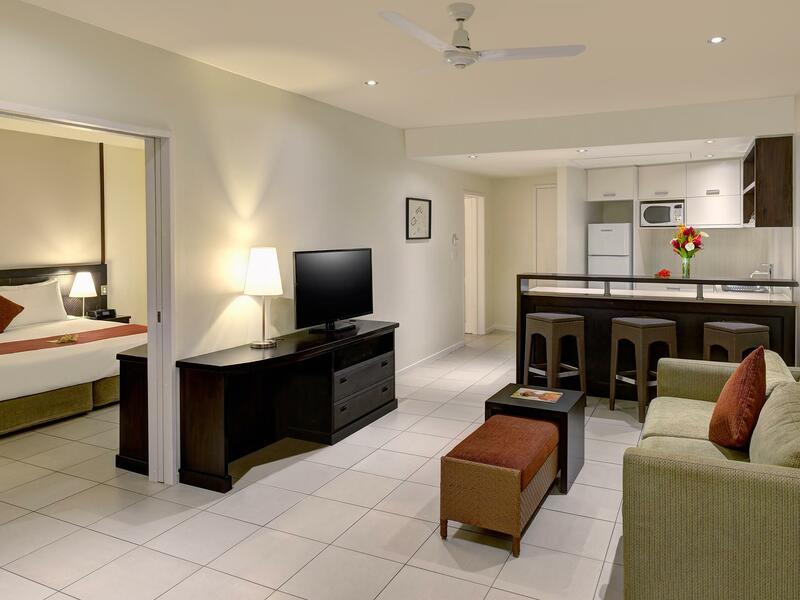 Had all room amenities including good size fridge, washing machine, dryer etc. The kids LOVED this kids club and the torch lighting is well and truly worth allowing the kids to be a part of (think was $16 extra). Our girls aged 7 & 9 proffered Radisson kids club well and truly over Sofitel and it includes a mix of ladies and men and the men here are super fun, energetic and the kids love them. The pool was great! Slide was super fun! Thai restaurant at Radisson quickly became our favourite restaurant on Denarau! The Happy Hour cocktails were fantastic! $14fjd for yummy cocktails and great value wine/beer also. I am sure anyone who stays will be happy they chose Radisson! Staffs are super helpful & friendly. Loving the family pool area. Kids can built sandcastle without leaving the pool. Better if there is another shorter slide in the family pool area. Spacious room. Would be better if basic amenities like comb & toothbrush are provided. We were travelling with our young boy. It is a fabulous chain hotel with a lot of activities to keep the children engaged. But we still prefer smaller hotels with a personal touch. This place is too big to get that Fijian feel. My son did enjoy himself with the fire lighting ceremony held by the kid's club in the evenings.